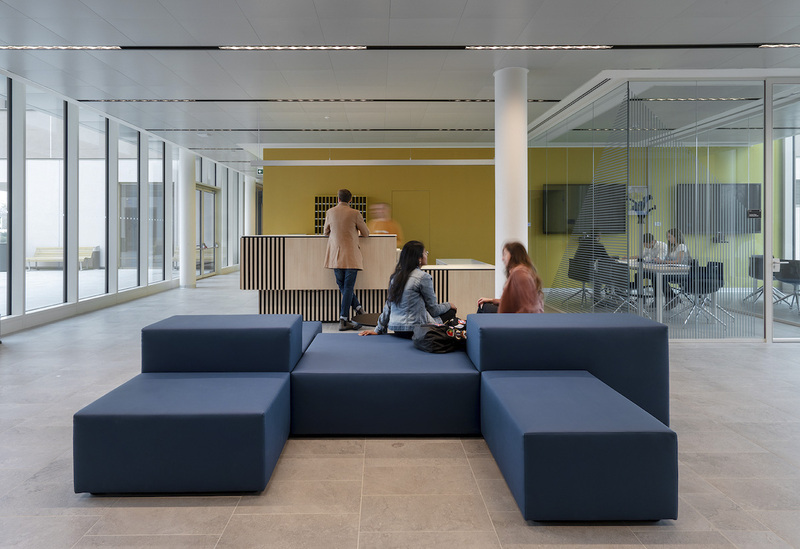 FTA studio has looked after all aspects of architectural, interior and landscape design, creating a locationwhere energy saving and environmental sustainability rule. 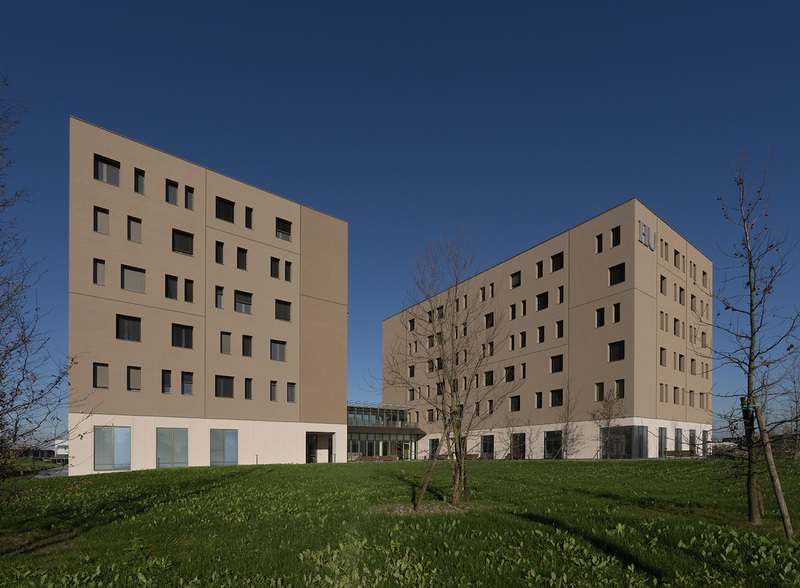 The student residence building is located south-east of the main square of the Campus. 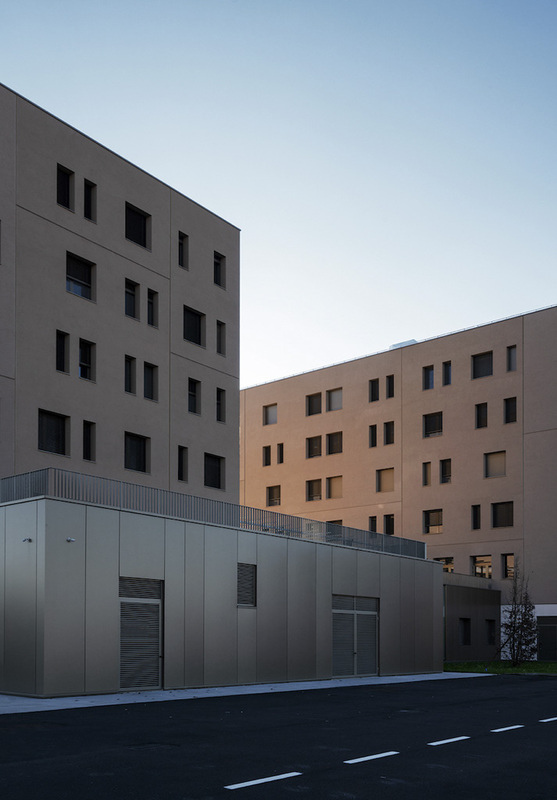 In line with masterplan directives, to make the most of the occupation of space without building too high, the structure was split into two compact staggered volumes: two important 5-storey towers are connected by a lower central body that houses the main access. 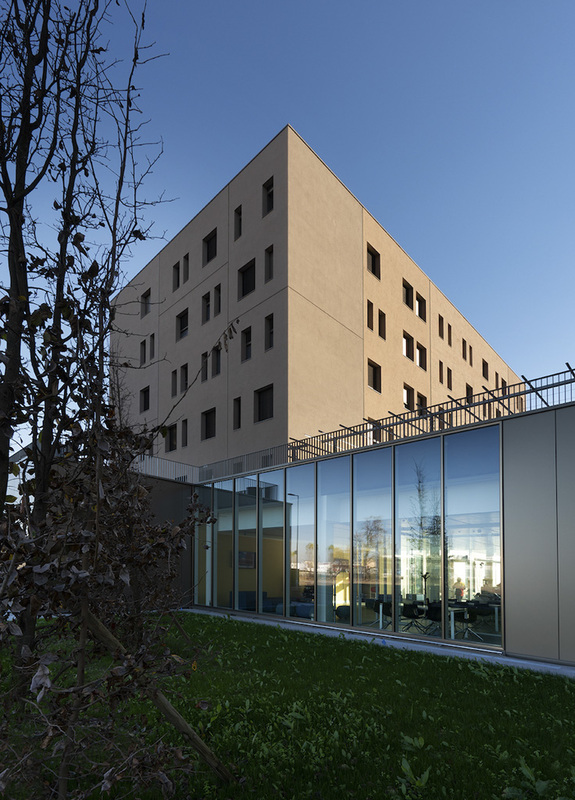 The lower height and transparencies of the central volume ensure visual permeability through the building towards the park and the surrounding fields. 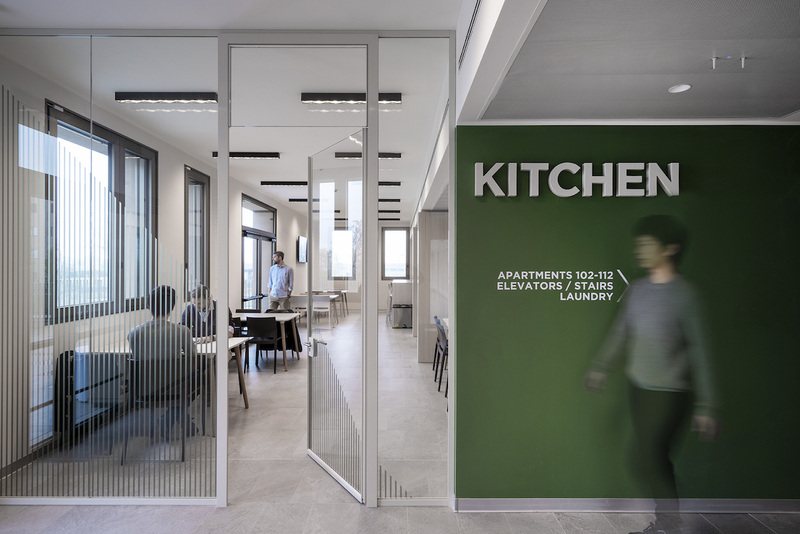 The roof accommodates a large green terrace, an open-air extension of the communal kitchen and the first floorstudy room. 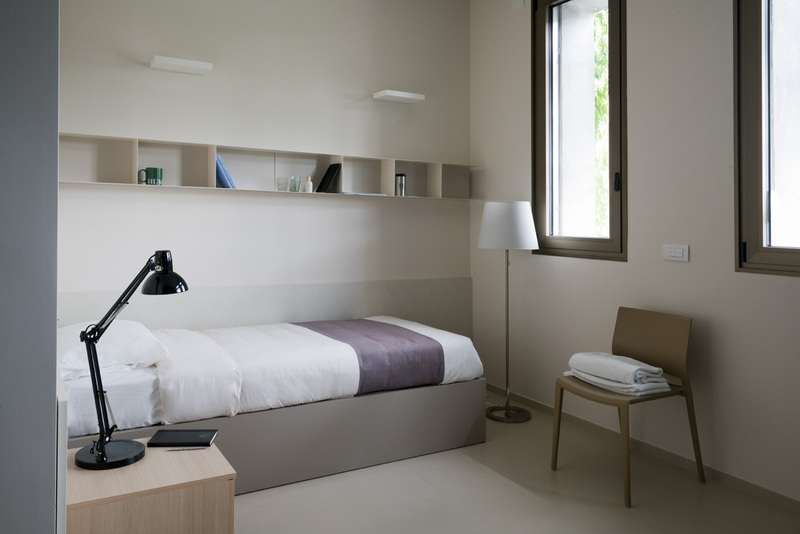 The ground floor is dedicated to public and communal functions (bar, restaurant, fitness room, games room) with the signature French windows overlooking the park, the upper floors are the private student lodgings consisting of 62 apartments and 23 rooms. 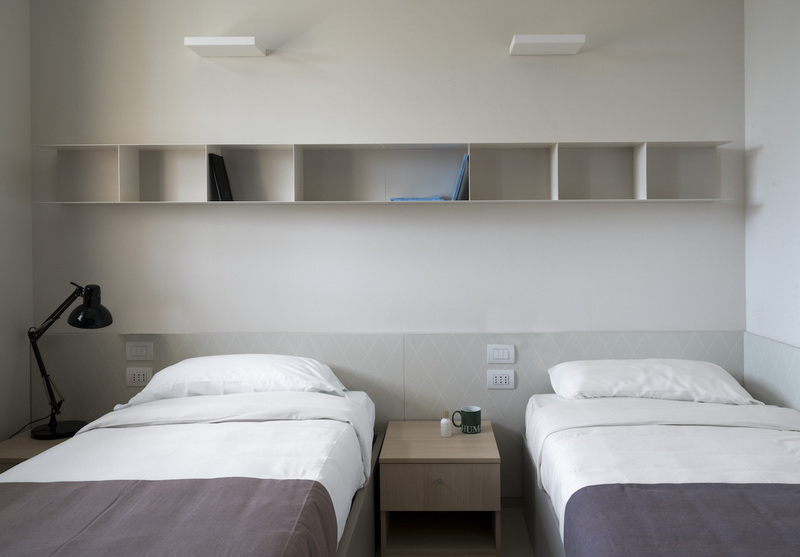 A variety ofarrangements – double and single rooms as well as mini-apartments – offer a total of 240 beds for international students, researchers and visiting professors. 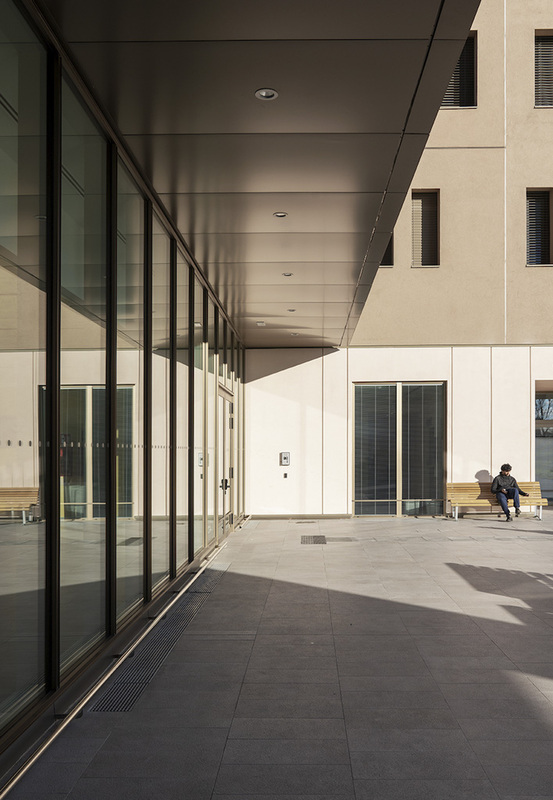 Outside, near the entrance, the offsetting of the two buildings gives life to a large square, animated by the tables of the bar and other public activities that give on to it. 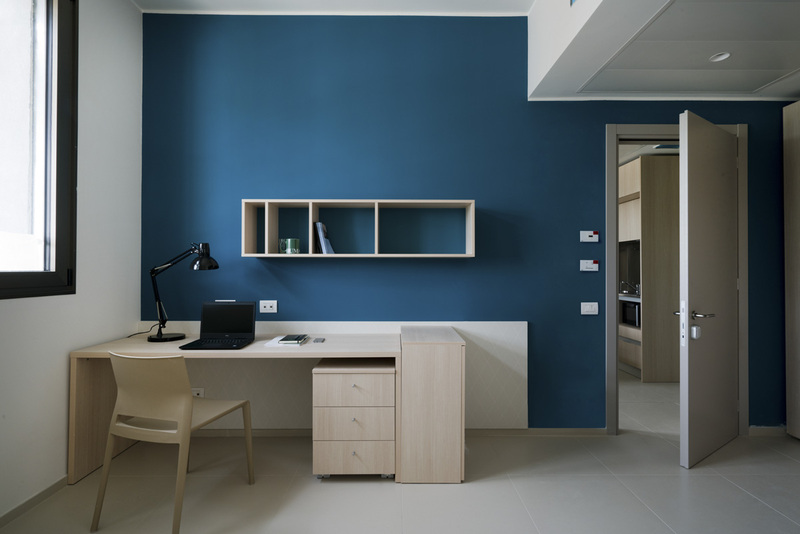 The Campus student residence is part of a broader university project, which adds hospitality and training and study support services to the educational model based on the integration of teaching, research and clinical studies. 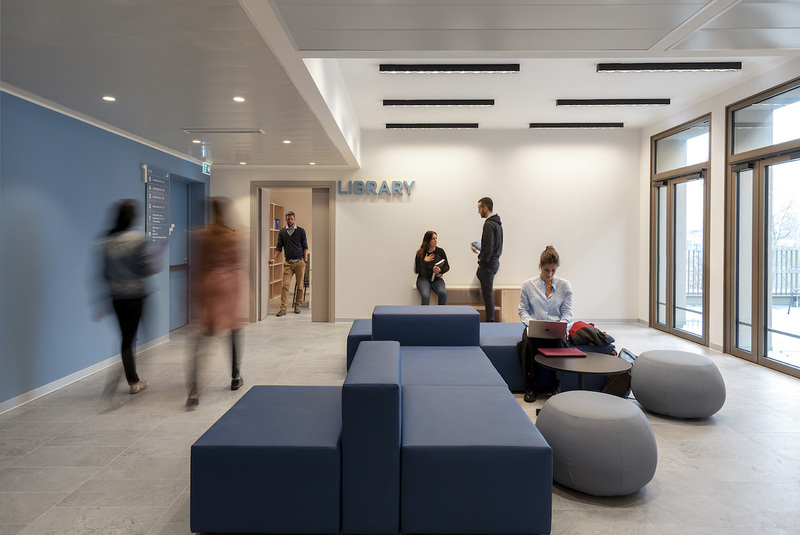 The aim is to offer students a comprehensively integratedreception, multiplying the opportunities for engagement and amalgamation between different fields of knowledge and giving all-round support not only to training, but to the entire educational experience, promoting integration and exchanges between young people of different cultures. 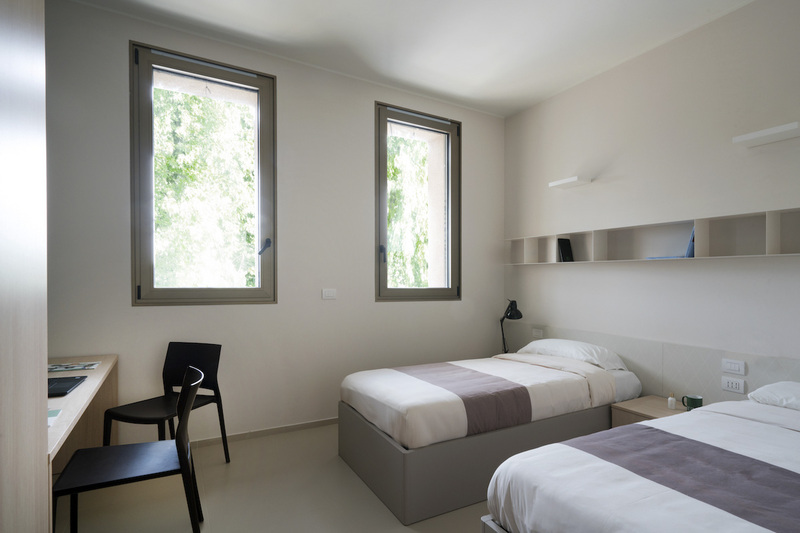 The residences offer students – from all over the world, 44% are foreign – different types of rooms and mini-apartments, as well as numerous communal areas: laboratories, study room, gym, library, TV room, cafeteria, laundry, parking, Amazon locker, terrace and an outdoor futsal pitch will be completed next spring. 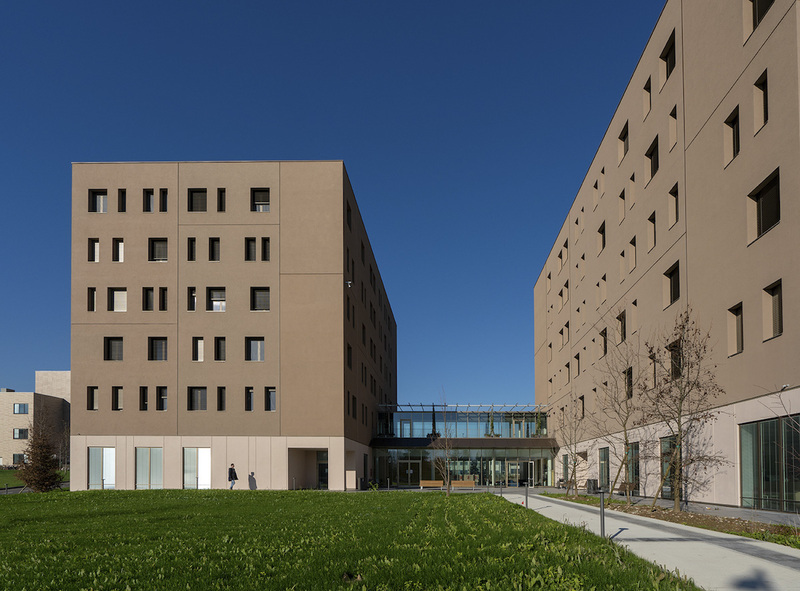 Additional services include orientation and tutoring sessions, cultural and recreational initiatives, an internal Career Service, study support and language courses. 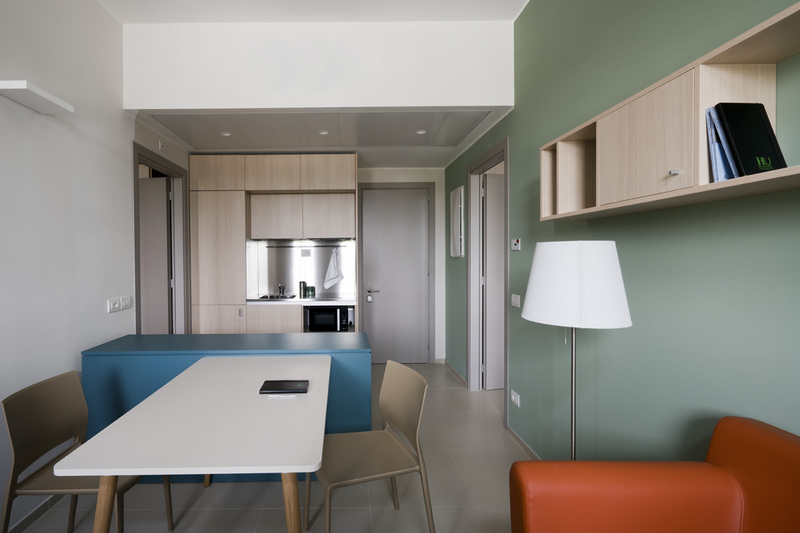 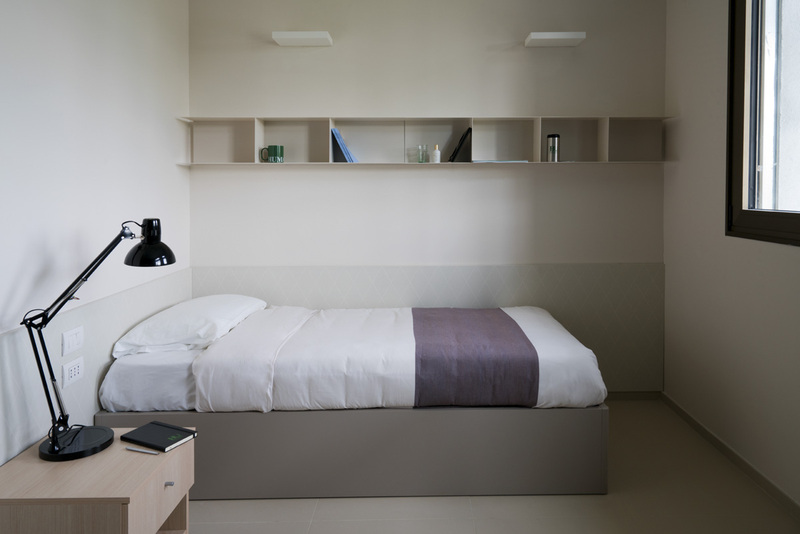 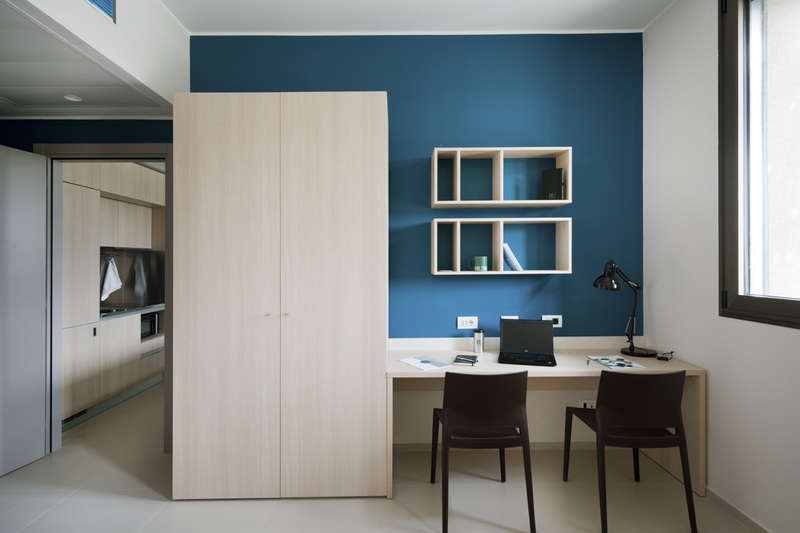 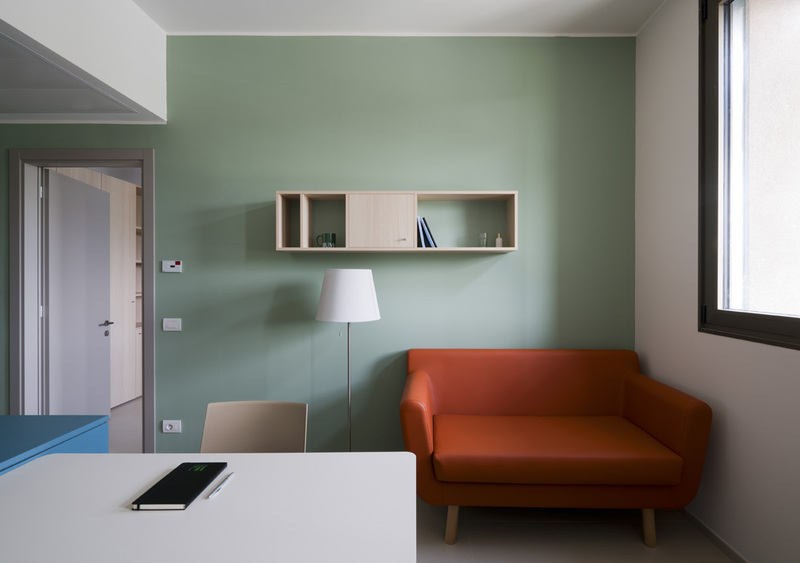 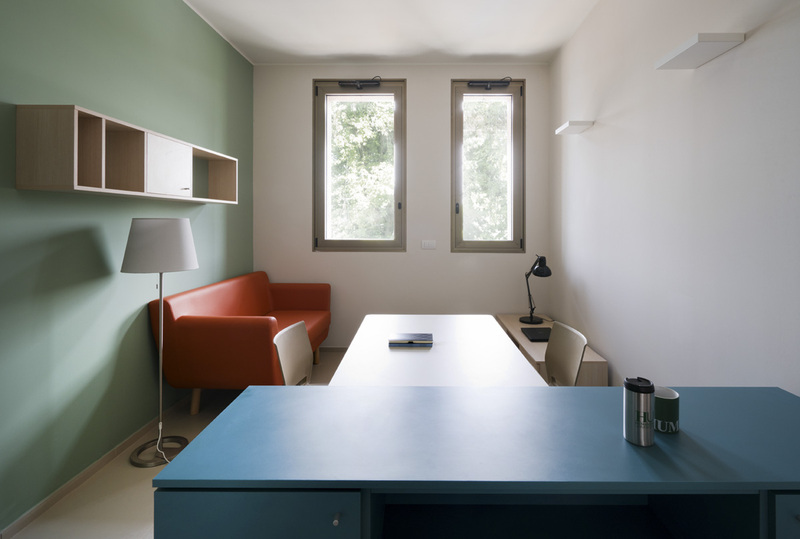 The Mario Luzzatto Student House is managed by Camplus, the leading provider of housing for university students in Italy, which now manages about 8 thousand beds throughout the country. 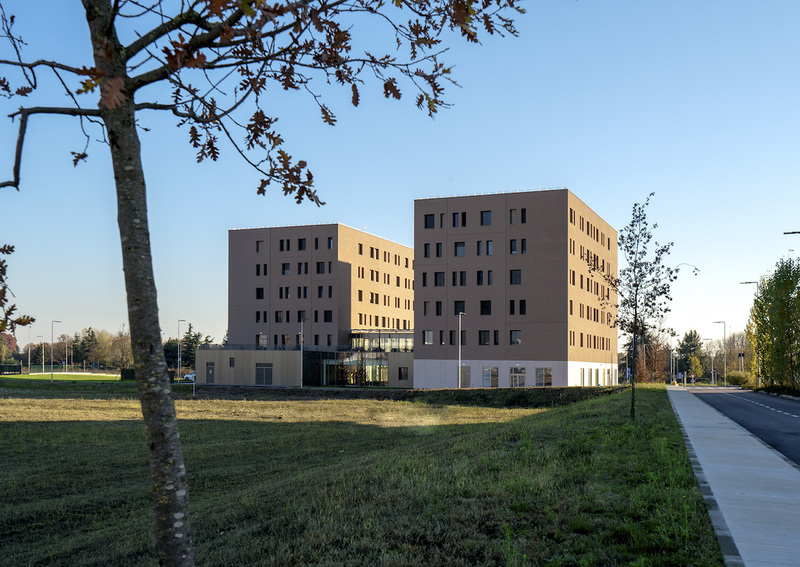 The fronts of the student residences are in the same tones as the stoneware of the other buildings on an austere facade in rustic plaster, studded with the deep asymmetrical openings of the rooms. 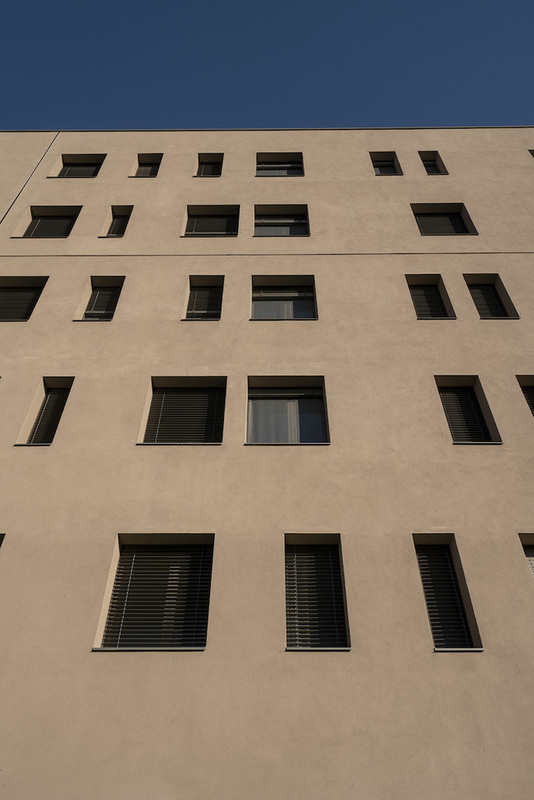 The doors and windows of the apartments are done in aluminium with a brass-like oxidised finish, as are those on the ground floor with Venetian blinds anddouble glazing. 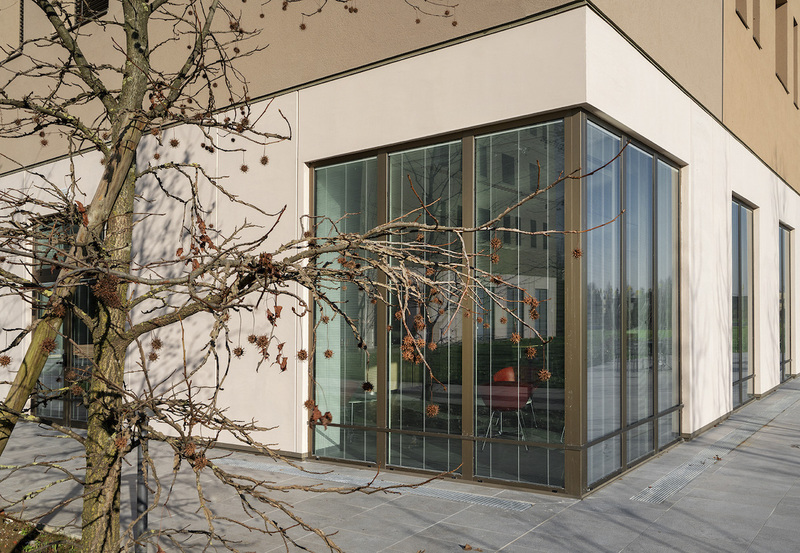 The metal blinds and room windows are iridescent and reflective, and the effect is to accentuate the dynamism of the façade when hit by direct light. 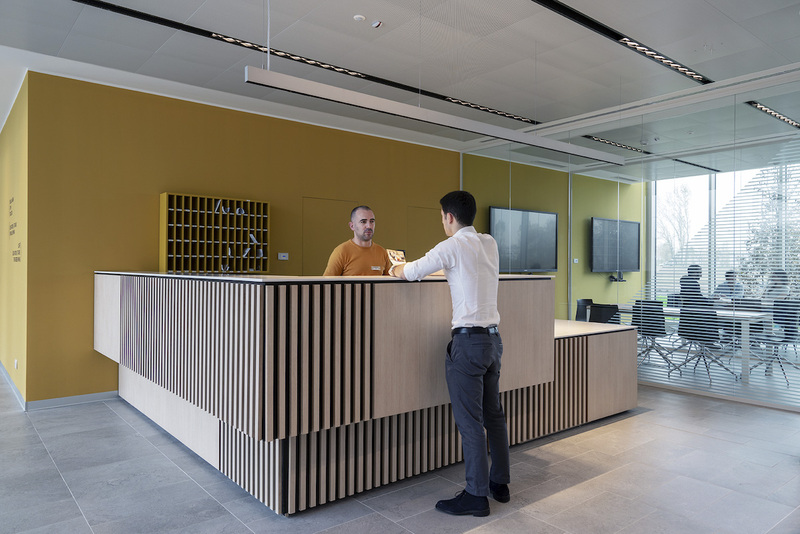 The front is softened in the public areas of the ground floor by the interspersing of large glass openings and opaque backgrounds with a light marmorino finish; in the rear part the service volumes are underlined by a casing of metal panels of varying sizes. 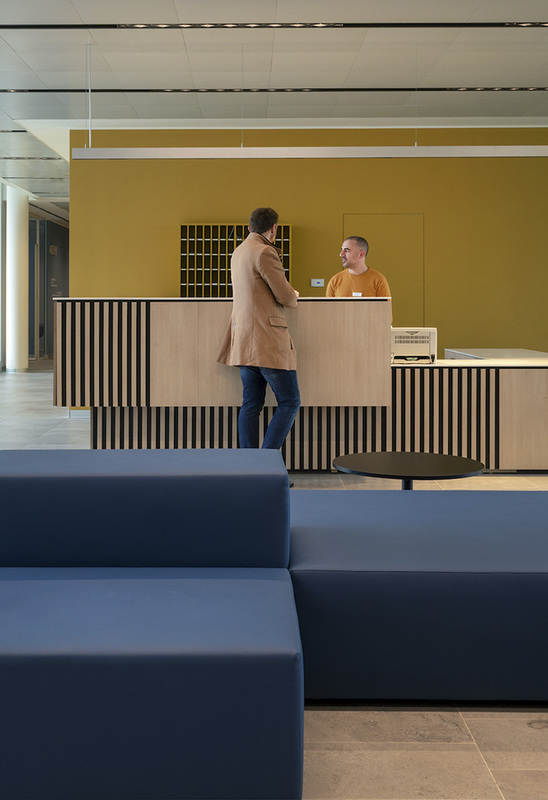 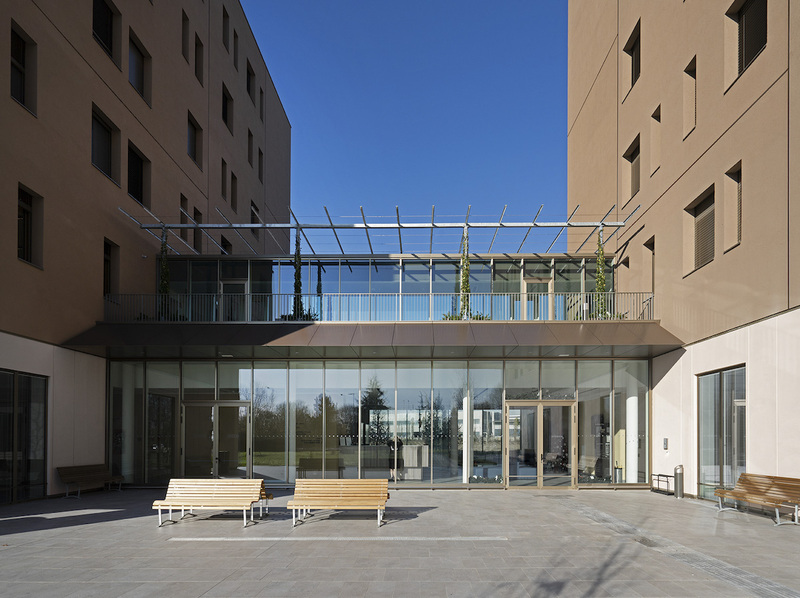 In addition to focusing on energy consumption aspects, particular attention has been paid to the ease of maintenance of both the external façades and the furnishings, ensuring maximum comfort for users and staff. 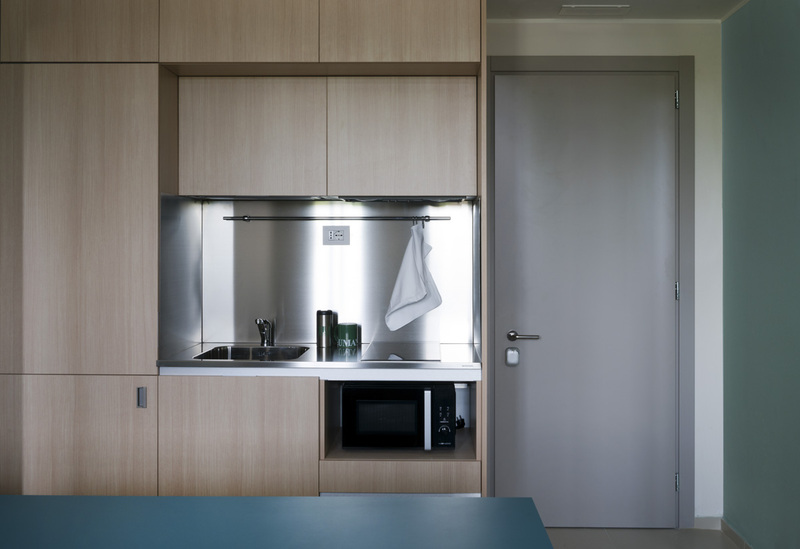 The residences are classified – like the Campus – as green buildings, having obtained energy class Acertification. 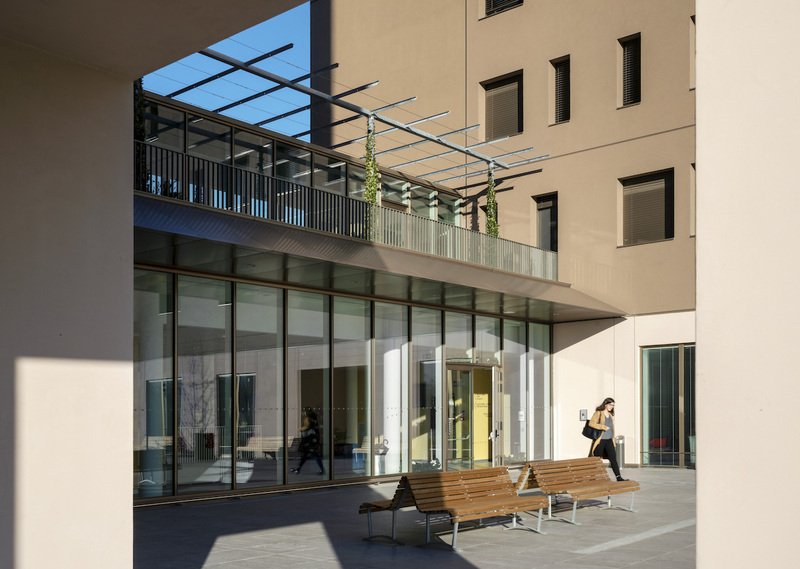 Spaces have been designed to the most modern standards in terms of technology and environmental comfort, with the use of renewable energy sources (both roofs of the buildings accommodatehighly efficient photovoltaic panels) and controlled mechanical ventilation systems. 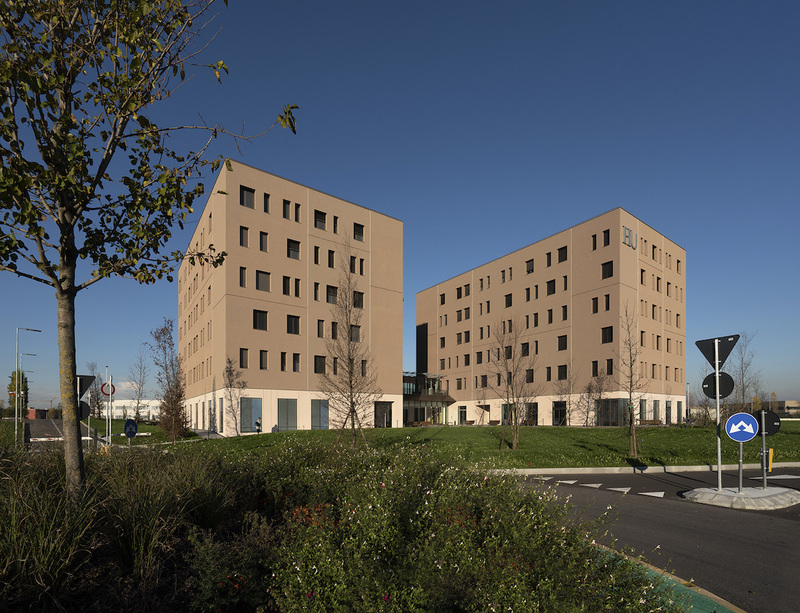 Active systems such as groundwater heat pumps, low-temperature radiant panel heating and the installation of photovoltaic panels on the roof have made it possible to achieve CENED A3energy class, while the orientation and form of the buildings make a decisive contribution to reducing heat loss in winter and, at the same time, increase the amount of solar energy in summer. 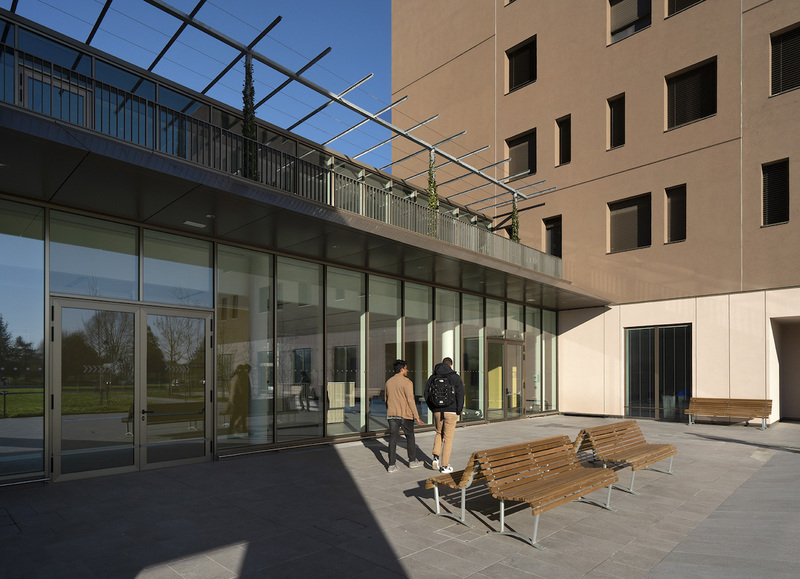 A large green pergola provides shade for the entrance roof and the glass tunnel connection, while allowing the use of the terrace in summer, a natural extension of the internal study area. 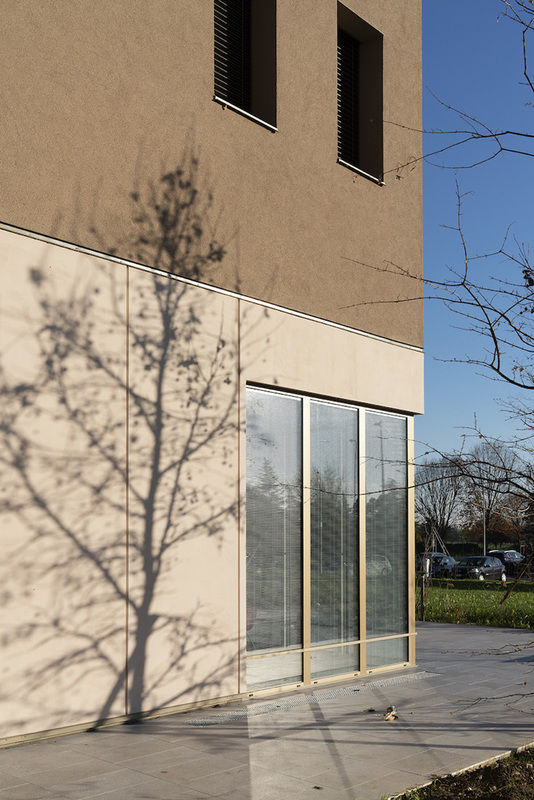 The residences are part of the University context and are connected with the other structures by way of a connective tissue of local green systems. 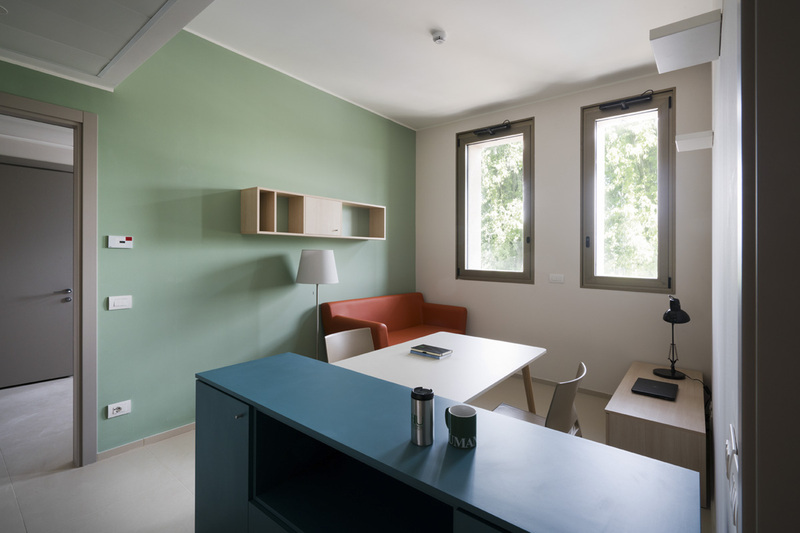 Respecting the pre-existing situation and leaving the nearby South Park clearly visible, the green areas are conceived as an integral part of the architectural project. 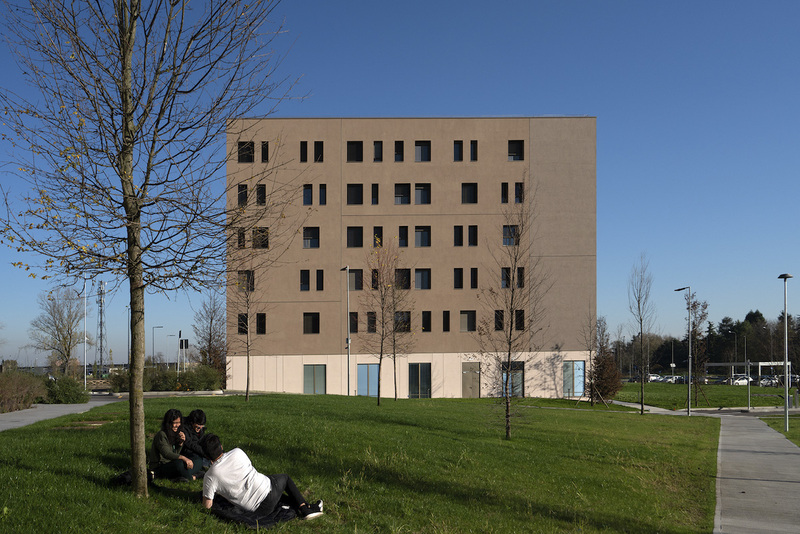 Poplars, ploughed fields and spontaneous greenery contribute to offering students and teachers a pleasant environment in which to study, relax and socialise. 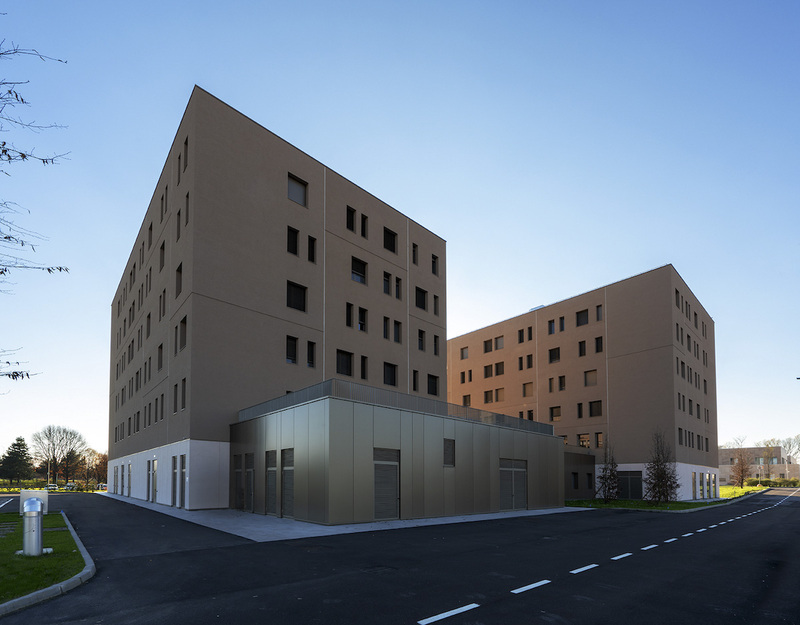 Work on the construction of the residences began in 2017 and was completed in the record time of just one year and with a budget of just 11 million euros. 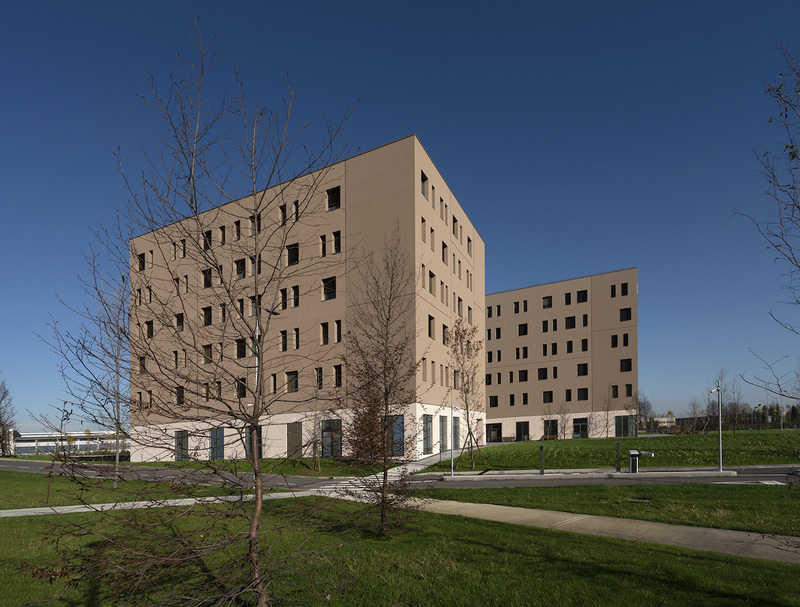 The project was developed in full compliance with dimension and quality standards, the guidelines for the technical and economic parameters for the construction of university lodgings and residences, as well as Ministerial Decree 338 of 2003, making it possible to achieve a major saving on construction costs (up to a maximum of 50%) and a contribution for the purchase of supplies and furniture of € 4,000 per bed. 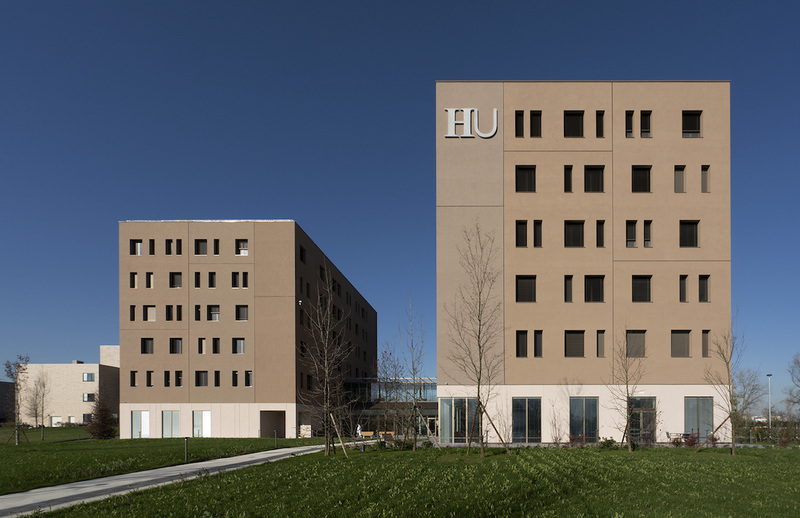 The building is located next to the Humanitas University Campus, a complex of structures and green areas inaugurated at the end of 2017. 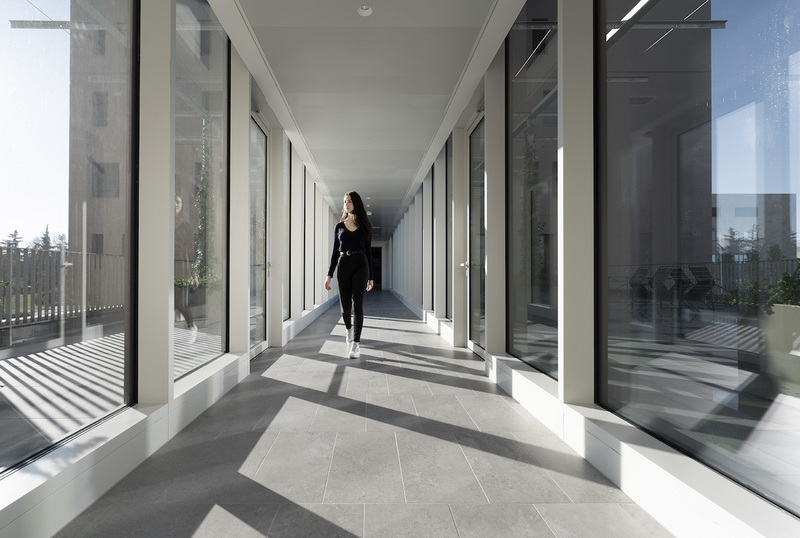 This too designed by the architect Filippo Taidelli of the FTA studio, the Campus consists of 3 buildings of about 25,000 square metres, on the leading edge of both educational content and environmental sustainability. 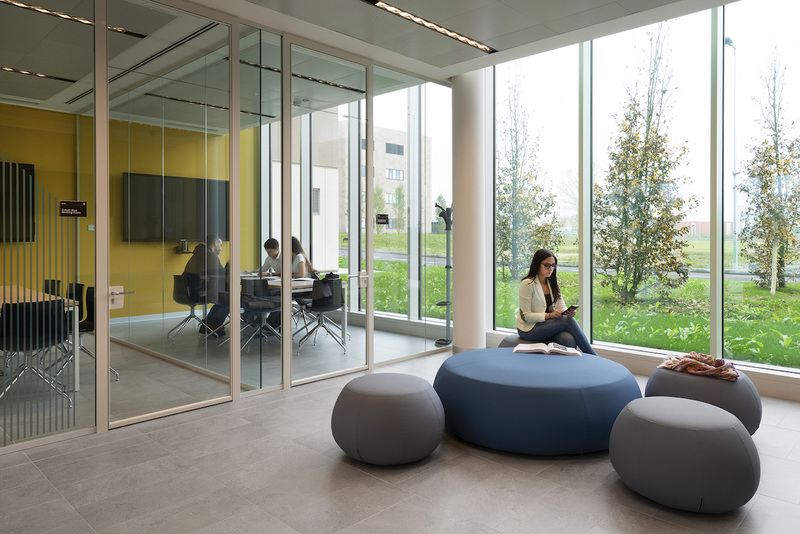 Designed to host 1,200 students from 31 countries, together with teachers and researchers, the university campus also boasts a 2,000-square-metre Simulation Lab, one of the largest and most technological in Europe, as well as high-tech classrooms and a digital library. 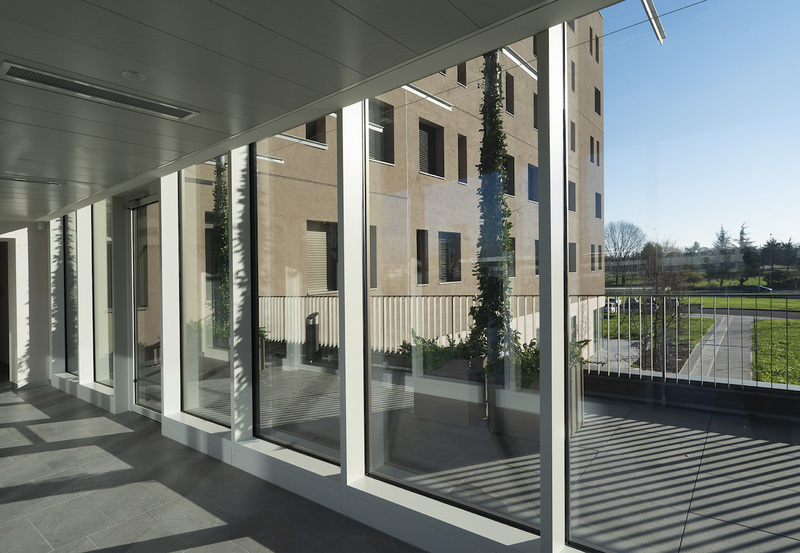 It is located a few steps from the research laboratories directed by Prof. Mantovani and the hospital, which is an integral part of the campus and a place of learning for future doctors, nurses and physiotherapists. 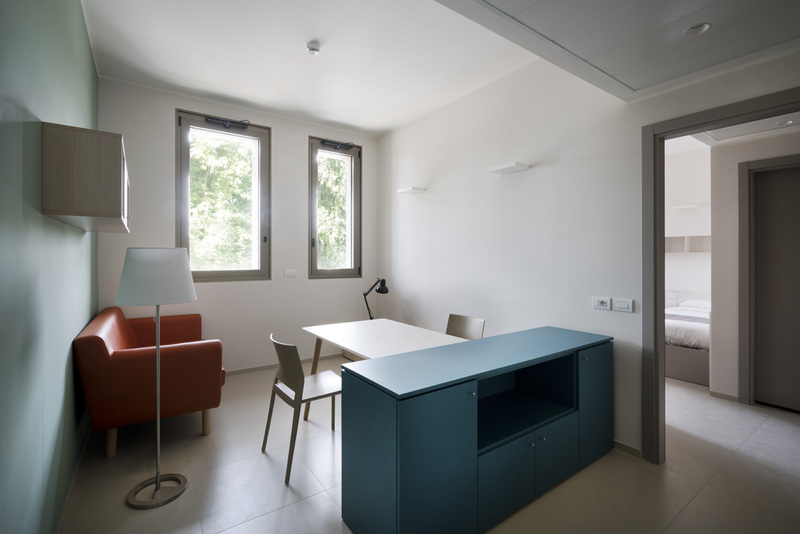 Established in 2005 by Filippo Taidelli, FTA is a multidisciplinary architectural and design firm based in Milan. 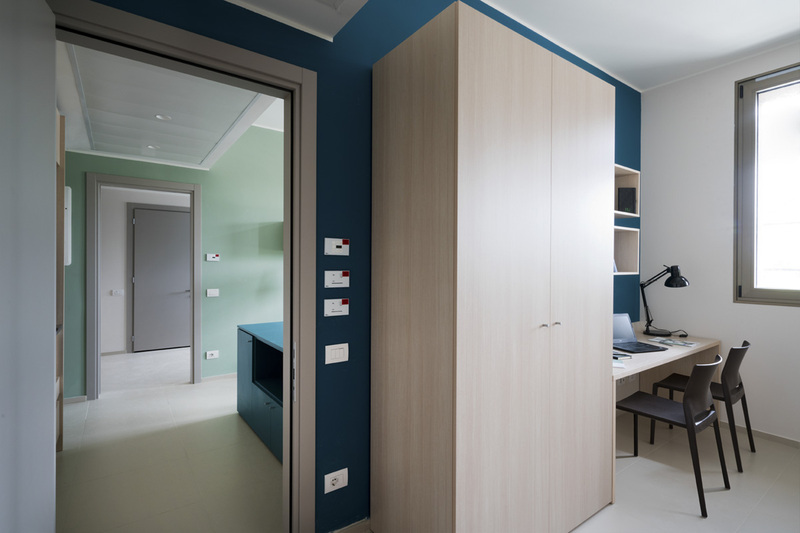 Operating both in Italy and abroad, FTA develops integrated design projects in collaboration with a team of carefully selected network of specialists. 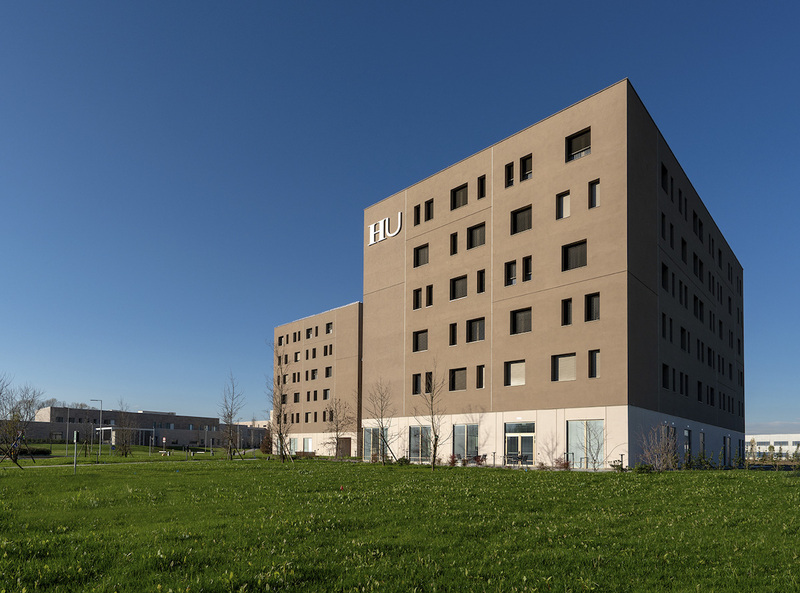 FTA has realized renovation and ground-up projects of various scale, spanning residential and commercial to office, service and mixed use spaces, exhibition and industrial design. 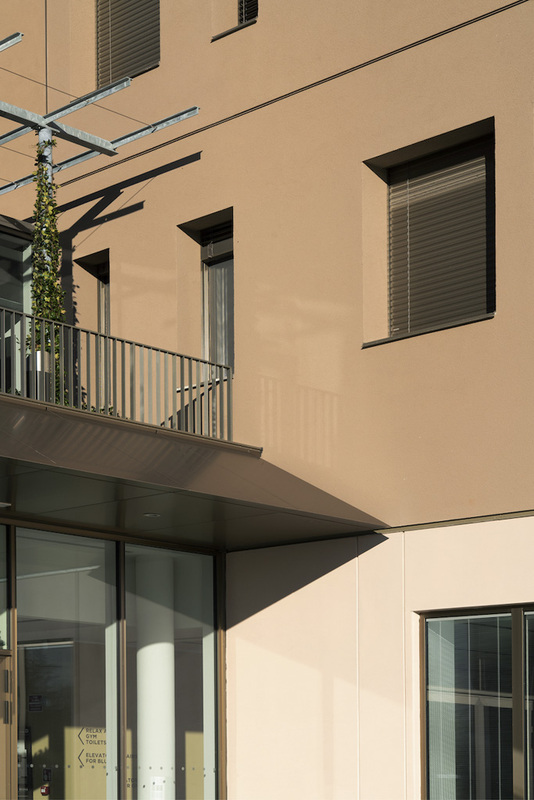 FTA’s activity is focused on research and innovative intervention in the Urban retrofit field for existing buildings energy-requalification as well as in the Healthcare area.